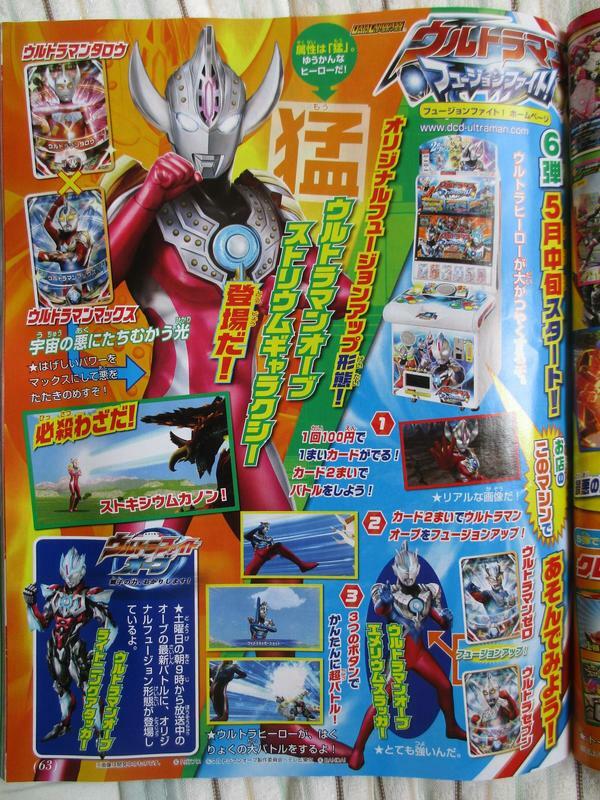 Here's another Ultraman Fusion Fighter game exclusive form form Ultraman Orb that was recently announced in the latest issue of Terebi magazine: Ultraman Orb Storium Galaxy! Ultraman Orb Storium Galaxy uses the fused power of Ultraman Taro and Ultraman Max. He is called as "the light that will fight the darkness of the universe". His finisher is called Stoxium Cannon. Can this new form be featured in the Ultra Fight Orb mini-series just like Lightning Attacker and Emerium Slasher? Let's all hope so. I think you meant Ultraman Max. It's a fusion with Taro and Max. But the pic is ultraman max..
Storium Galaxy is a fusion of Ultraman Taro and Ultraman Max! Not Ultraman Ginga! Dude, its ultraman max not ginga..